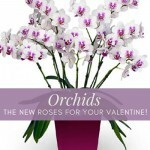 The Perfect Valentine's Day Gift Idea: Orchids are the New Roses! Valentine’s Day is a time to show that special someone how much you love them. And, although red roses are the traditional flower of Valentine’s Day, you will pay a premium in February and the flowers last a week or two. 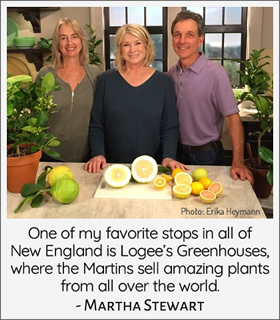 I’ve always thought that a better way to share your love is by giving blooming plants. Some of the longest blooming plants are Phalaenopsis Orchids. We have a few varieties that will delight all the sweethearts on your list. All three of these orchids are shipped in short spike so whoever receives these plants will enjoy the flowers for months to come. One of the most popular Multiflora Phalaenopsis Orchids, ‘Prima Piano’ (Phalaenopsis hybrid) has at least two flower spikes with 6-8 flowers per spike. ‘Prima Piano’ accents any room with its white flowers highlighted with fuchsia pink centers and rays of pink that radiate through the petals. The long-lasting blooms remain on the plant for 2-3 months. Another rare orchid is Phalaenopsis ‘Magic Art’ (Phalaenopsis hybrid). It’s lightly fragrant with a slight spicy scent. The white blooms have splashes of light and dark pink throughout the petals and lip. Referred to as a “wild color” because although most flowers will be white with burgundy edges, some flowers will be burgundy with white edges, all on the same plant. So like nature itself, ‘Magic Art’ is unpredictable. The spikes reach up to 20” tall and the flowers can be up to 4” across. 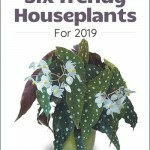 The long-lasting blooms hold on the plant for 2-3 months. Phalaenopsis Orchid ‘Showpiece’ (Phalaenopsis hybrid) is a yellow orchid with reddish-orange stripes and ten or more flowers per spike to create a centerpiece of blooming beauty. Flowers last 2-3 months and the spikes average 22-24” tall. This is the closest orange color known for Phalaenopsis orchids. Orchids are some of the easiest plants to grow with a few simple instructions pertaining to watering, sun exposure and fertilization. We recommend growing orchids in an east or west window or under lights. 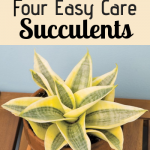 Avoid growing them in hot noonday sun. When watering, bring the media to near dryness and then saturate with water. Don’t let your orchid plant sit in a saucer of water. 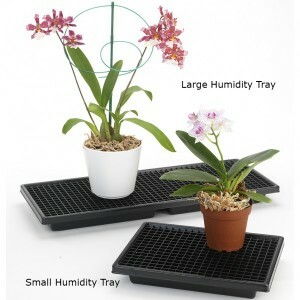 Humidity trays are an easy solution to help you grow the best orchids since excess water drains from the orchid pot into the tray below. 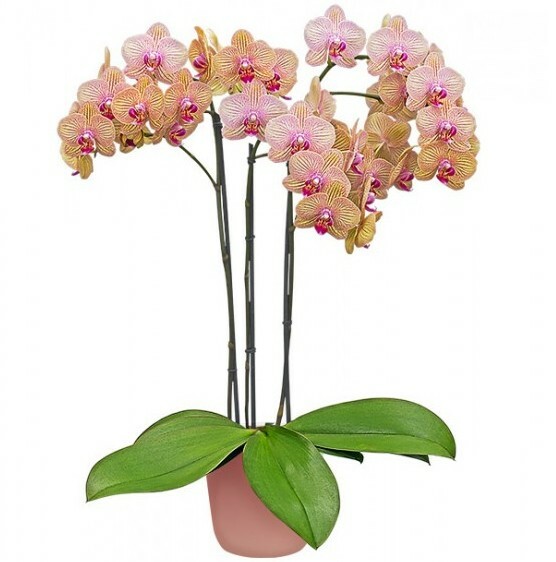 As the water evaporates, it generates extra humidity to keep your orchids healthy. 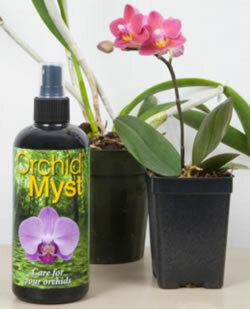 Orchid Myst is a nutritional spray that mimics how nutrients are received in nature. Simply mist the leaves and exposed roots once or twice a week. Orchid Myst contains mineral and organic nutrients, marine plant extracts, humic acid, fulvic acid and pure plant oils. 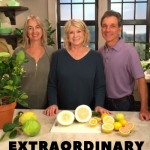 It acts as a fertilizer and growth enhancer, as well as a plant tonic. 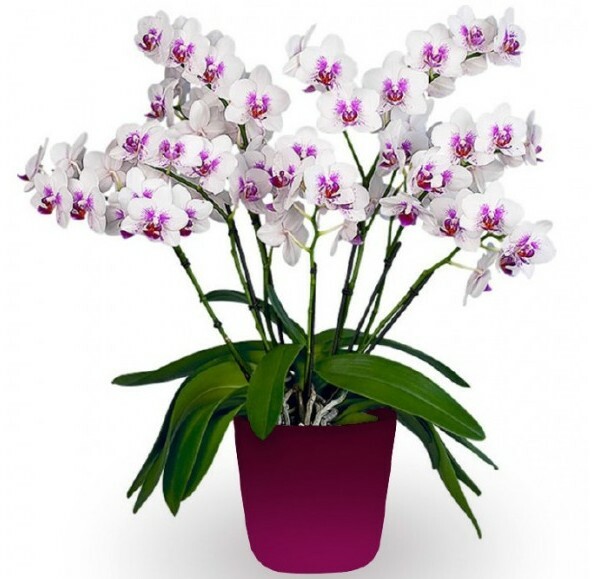 Orchid Myst promotes healthier plants and longer lasting flower displays. 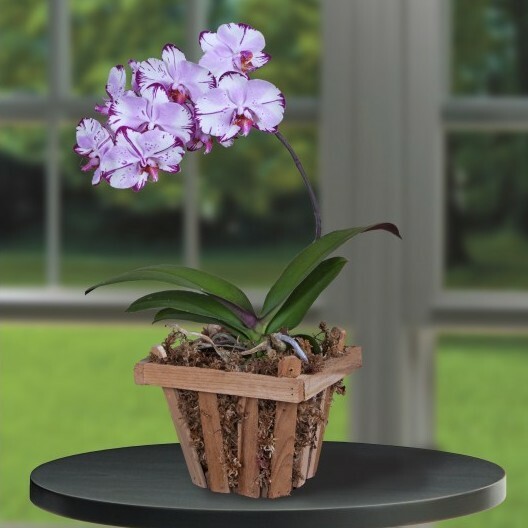 Orchids are wonderful plants to give to loved ones because of their long-lasting blooms, Whether your sweetheart is a gardener or not, orchids are a great entry level plant since they are easy to grow and a single orchid plant can rebloom for years to come.